Since 2008, CashYourLaptop.com has been buying used laptop computers in any condition. What we do is we refurbished them and resell them. It's a simple business idea, that helps the environment by reusing all components we can. Instead of disposing of non working parts, we fix them. There are many websites now that offer cash for used laptops and electronics. How is it possible that we are able to offer more than the competition? It's very simple. We add value to each Laptop we acquire by refurbishing it. That's how we are able to profit more and thus pay you more. In addition to this, our only advertisement strategy is word of mouth. The competition designates a significant percentage of their budget for marketing. We don't. That's it. We live in a disposable society. When our techonolgy breaks, we replace it. But the art of repair is still practiced in the margins of our tech obsessed culture. 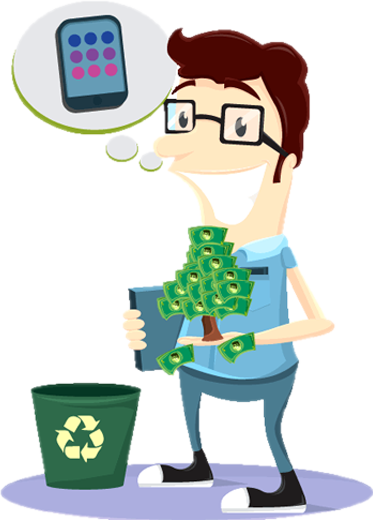 Our mission is to contribute to the electronics reselling market as much as possible so that we extend that life of our electronics dmiinish the electronics waste.